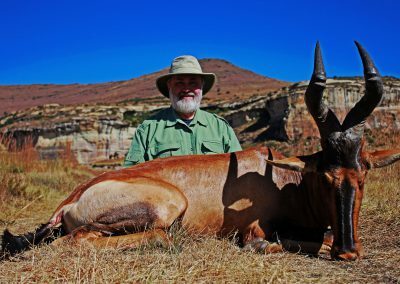 Hunting elephants in South Africa with Mkulu African Hunting Safaris. 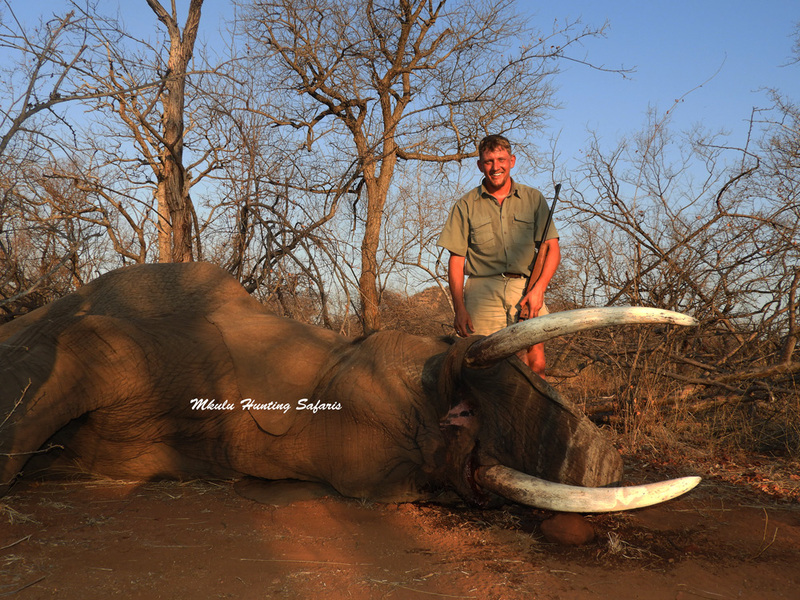 Safari hunting elephants in South Africa with Mkulu African Hunting Safaris. We offer the best African elephant hunting safaris because we walk the extra mile and we keep our prices reasonable. Hunting elephants the traditional way is our way of making your elephant hunting safari the experience it should be for all the correct reasons. 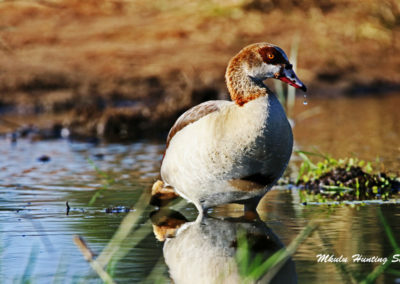 Our South African elephant hunting safaris are presented in remote areas where the African Big 5 still roam free in hunting areas exceeding 100 000 acres. 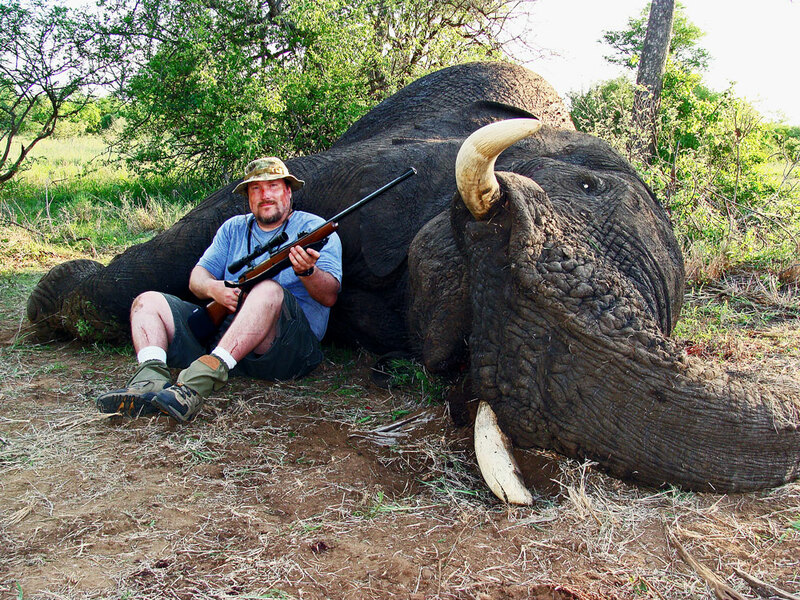 South African elephant hunting laws stipulate that bow hunting elephants, as a form of hunting, is illegal. 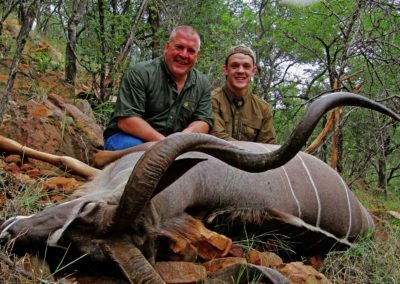 Hunting elephants in South Africa with Mkulu African Hunting Safaris is a dangerous game hunting experience to look forward to. 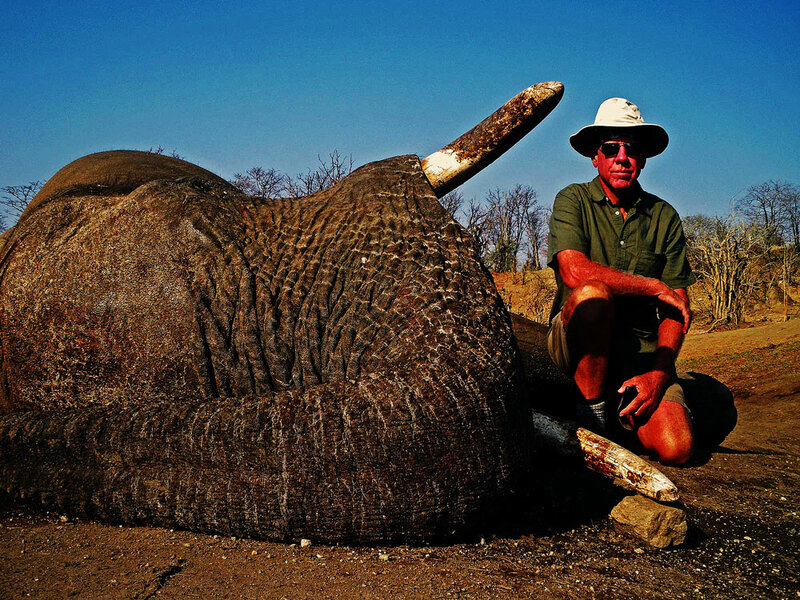 Our elephant hunting opportunities are becoming extremely popular because of the extra effort involved from both the hunter and the Professional Hunting Guide when hunting elephants in South Africa. 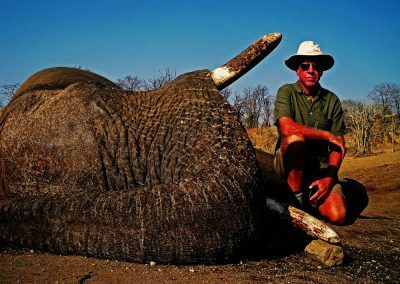 The cost to hunt elephants and our elephant hunting prices in South Africa for the 2019 elephant hunting season is determined by the weight of the tusks. Due to the favorable exchange rates between the South African Rand (ZAR) and other major international currencies we are projecting a 5 – 8% decrease in the trophy fees of elephant hunting in South Africa. We are lowering our elephant hunting prices as a direct result of the exchange rate. A dark-horse factor we have to take into consideration is the decision by the US Fish and Wildlife Services to prohibit the import of elephant products to the USA of elephants hunted in Zimbabwe, Tanzania and Mozambique. 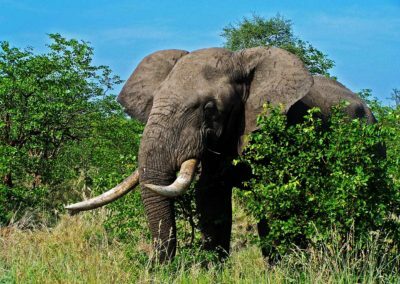 Botswana stopped commercial hunting of elephants leaving South Africa and a few select other African countries as the only countries where elephants can be hunted and imported to the USA. This may have a negative effect on elephant hunting prices in future. 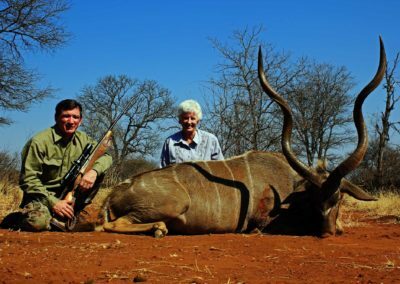 The best caliber for hunting elephants in South Africa would be a large bore rifle that you can shoot accurately and feel comfortable using. 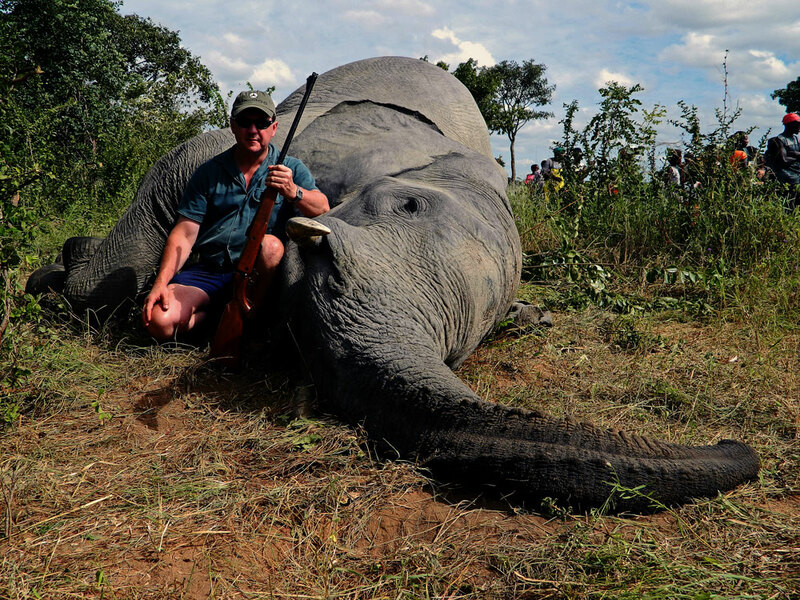 There are numerous calibers out there that will be able to effectively hunt elephants with and we wish not to get involved in debating on the merits of each. 505 Gibbs or any other comparable caliber. 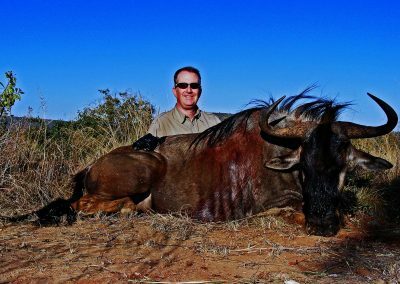 Mkulu African Hunting Safaris preferred ammunition manufacturer is Hornady, Federal Premium or any other premium grade ammunition manufacturers. You can use 500 grain Hornady projectiles in your rifle depending on which weight projectiles have a constant better performance in your specific rifle. 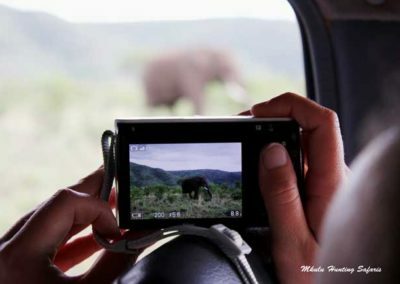 A premium 1,5 – 6 X gun scope should be sufficient for hunting elephants in South Africa due to the expected short average shooting distance when hunting elephants. In some cases hunters prefer to hunt elephants with open sights when they are hunting with double barrel rifles in the old fashion (if your vision is still 20/20 either due to being blessed, or due to age). The average expected shooting distance when hunting elephants in South Africa is 15 to 40 yards depending on the terrain you are hunting in. 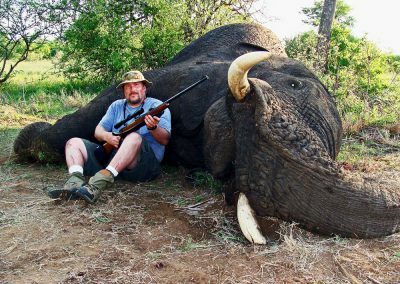 Another consideration is what time of the year you decide to hunt elephants due to the bush being dense or not, and if you are shooting open sights or with a gun scope. The shot should be placed in line with the front leg, one third of the way up from the bottom of the brisket to the top of the hump on the back. Rather wait for a broadside shot due to the sheer mass of the animal. Rather wait for a broadside shot. Only attempt a brain shot if you are an experienced elephant hunter. Brain shots are mostly risky due to the angle of the shot and the sheer mass of the head. If you have to take a frontal brain shot remember you can shoot one of the front legs to delay a full elephant charge. 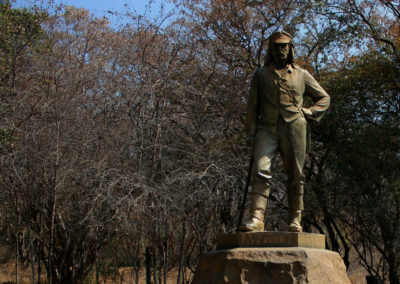 To walk-and-stalk when hunting elephants is the traditional way of going about it. Larger elephant herds can be more difficult to stalk due to every member of the elephant herd being alert most of the time. 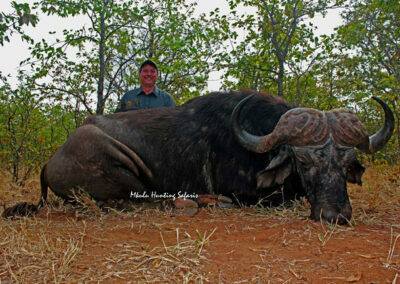 Solitary bulls can become extremely wily and are very hard to hunt indeed. Bachelor herds of between 2 and 10 animals are common and are even more difficult to stalk. 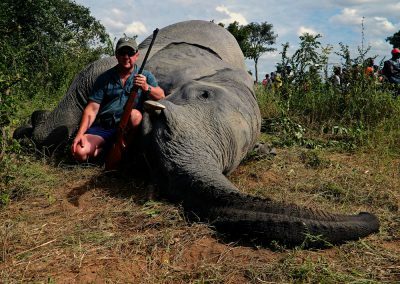 Archery hunting elephants is not legal in South Africa. Extreme caution should be applied when on the final approach. 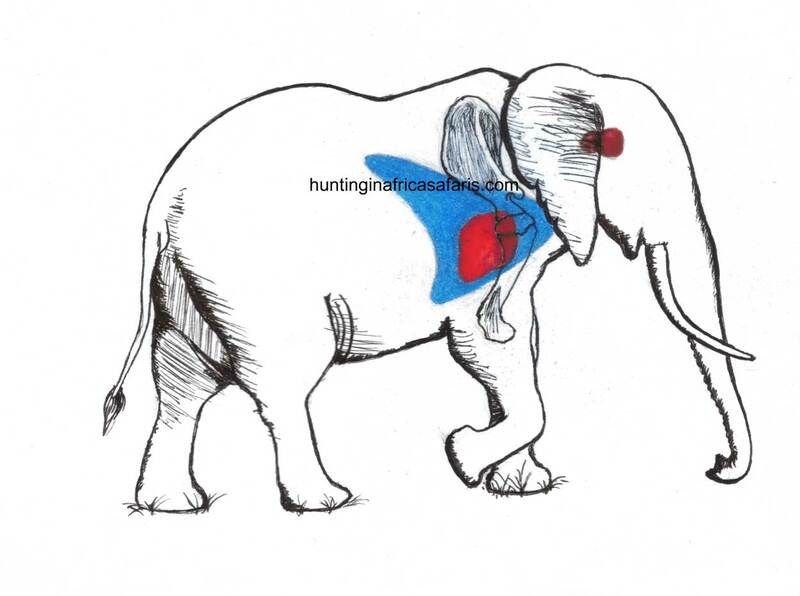 Any sudden movements will attract the attention of a weary elephant and result in a no-hunt situation. 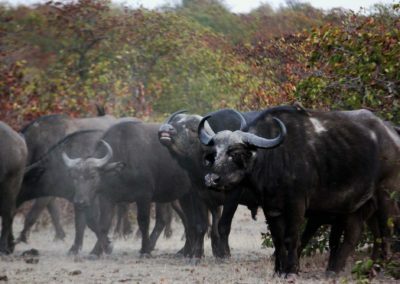 Traditionally the bush in the best elephant hunting areas is rather dense during our summer months from November to April. From June to August the bush starts to recede rather quickly and during September and October the daily temperatures start rising while the bush recedes to a minimum. 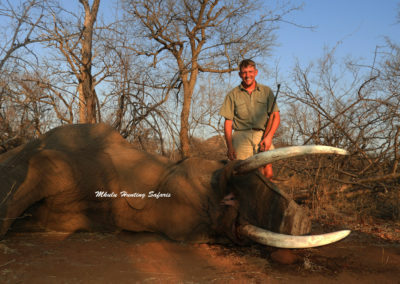 The best time of year to hunt elephants in South Africa is from late July to end October and even middle November when the bush has receded most. We can and do hunt elephants from January to December.